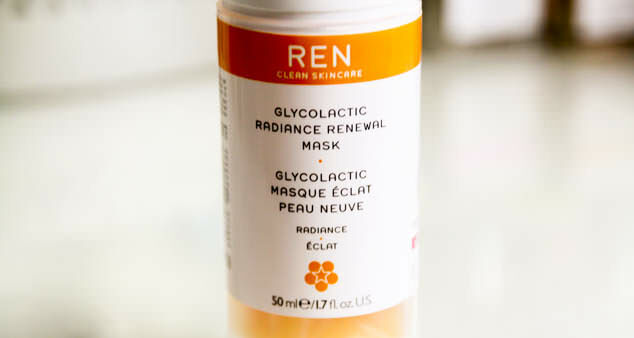 I have problematic skin as many of you who read my blog or watch my Youtube will know so I was really interested when I was sent the REN Glycolactic Radiance Renewal Mask to Review. 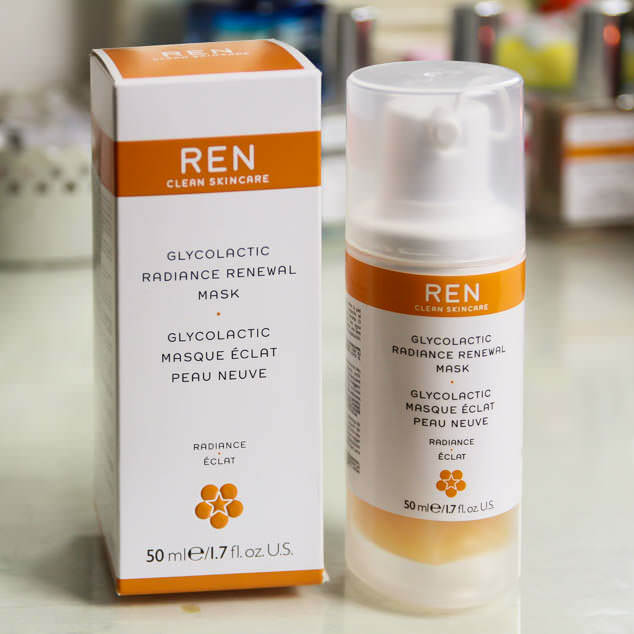 I have heard positive reviews about some of the REN clean skincare range and having read that the Glycolactic Radiance Renewal Mask is great for combating congestion, blackheads and blemishes I couldn’t wait to give it a go! 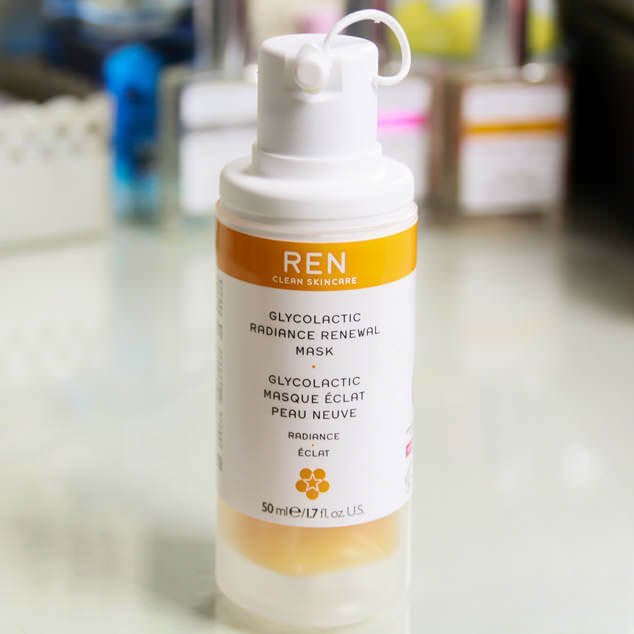 REN Glycolactic Radiance Renewal Mask Review and Results! This mask is described as a potent bio active peel mask which it definitely is, I have semi-sensitive skin and was fine using the mask but if you have very sensitive skin this isn’t the product for you. The product uses natural fruit extracts, passion fruit, pineapple, lemon, papaya and grape and removes dead skin cells to renew the complexion and remove impurities. The REN Glycolactic Radiance Renewal Mask also helps smooth the skin which can help with fine lines and wrinkles. The Ren’s packaging is very clean andclear, with a push pump system that looks a little clinical. The product is a honey shade, smells amazing and the mix spreads smoothly over your skin with no stickiness like an oil cleanser. I applied a very thin layer across my face and neck using my fingers. My skin was clean and dry when applying it. I then left the mask on for 10 minutes, there was a little tingling, and then wiped the product away with warm water and the muslin cloth that came with the mask. The results from this mask were visible immediately and I would recommend timing how long the mask has been on and only use it once a week so you don’t damage your skin. My skin was far softer from using the mask and after three weeks of using it my skin has been clearing up. I feel like the areas of bad blemishes have been really helped, bacteria and dead skin removed and given my skin a healthy boost. I couldn’t avoid in my REN Glycolactic Radiance Renewal Mask Review that this mask is expensive, £32 for 50ml, but if the product works for you then it might be worth your money. I would say this is one of the best face masks I have ever used and will be repurchasing this when it runs out as it worked so well for me.